Here are some Frequently Asked Questions, take a read and don’t hesitate to contact me with any questions. - I will be adding additional dates to the workshops at the end of each month. If it is greyed out or not clickable that means it has been booked. Please click link above to be added to the mailing list! - I only have workshops on Saturdays and Fridays. (some Sundays) so cannot do any other days during the week I’m afraid. Do you have special group classes or parties? I can't make my class? can I get a refund or exchange? All bookings and gift vouchers are strictly non-refundable. If you are unable to attend a class you are free to send someone else in your place for the same class that you booked for, but please let us know who will be replacing you. Alternatively, subject to availability, we can arrange an alternative date, at the next available time on the waiting list. 72 hours notice must be given. 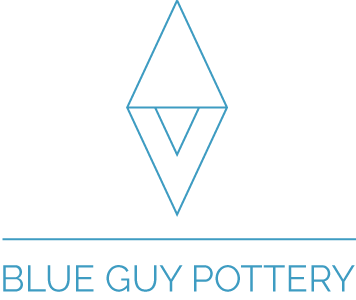 If no notice is given Blue Guy Pottery reserves the right to cover costs for ingredients (perishable items) supplied for your original date. For bookings of more than 3 people, 14 days notice is required. Do you do demonstrations or events? Yes I do! I have a small demonstration wheel which can be set up on any table or I can bring the whole set up. It is a bit messy so please keep that in mind! Do you make Wedding Presents? Yes I do! Most of my bespoke commissions are wedding presents, I can put initials, the wedding date, a funny quote. All possible! Fun right? How long does a bespoke piece take? This varies to the piece and design, but starts from 8-14 weeks. - Places are booked on a first-come, first-served basis. - All places must be paid for in full at the time of booking. - Payment must be made through the website. - Once a class has been booked and paid for you will receive a confirmation email. - All bookings and gift vouchers are strictly non-refundable. If you are unable to attend a class you are free to send someone else in your place for the same class that you booked for, but please let us know who will be replacing you. Alternatively, subject to availability, we can arrange an alternative date, at the next available time on the waiting list. 72 hours notice must be given. If no notice is given Blue Guy Pottery reserves the right to cover costs for materials supplied for your original date. For bookings of more than 3 people, 14 days notice is required. - Workshop vouchers are valid for 6 months from order. Contact should be made as soon as possible to arrange a date as classes get booked out quickly. - The contact details provided at the time of booking will be used for all correspondence so please let us know of any changes. - If a class has to be cancelled for unforeseen reasons we will notify all attendees immediately and you will receive a full refund. - By attending a Blue Guy Pottery workshop you realise that you will be working with clay, hot kilns and silica. You will be briefed on health and safety, and Blue Guy Pottery can therefore accept no responsibility for injuries or illness that may result.